SCOOBY DOO. THE MYSTERY MACHINE. Scooby Doo Jester and Wall of Meat action figure Equity Marketing. Condition is New. Shipped with USPS First Class Package. Scooby-Doo Tiki Tourist Shaggy Collectible Action Figure NIP by Equity. Condition is New. Shipped with USPS First Class. 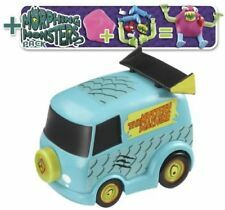 Scooby-Doo Tiki Collectible SPOOKY DEMON Action Figure Spooky island movie toy. Condition is Used. Shipped with USPS First Class Package. Box is in excellent condition with a few scuff marks on top corner. Bubble is in great condition. (see pictures above). 1 X Scrappy Doo. 1 X Velma, Scooby and Shaggy in coffin. 1 X Shaggy and Scooby. Complete Set of 5 Scooby Doo toys. 1 X Mystery Machine. SCOOBY & PHANTOM RACER. FROM: CHARTER LTD. Doing that is against U.S. and international laws. THIS IS A GREAT OPPORTUNITY TO ADD ASCOOBY-DOO BENDIE SET TO YOUR COLLECTION. 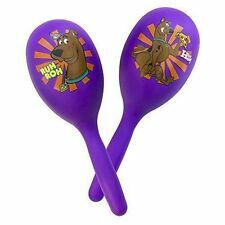 within U.S.A.
Up for sale Scooby Doo & Shaggy ! By Equity Marketing. released in 1999. Boo-Ya Dave’s Fun Stuff! The one in the photos is the one you will receive. 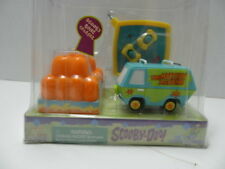 Great gift & collection forscooby doo fans & children ! Condition: used 98%new, never be played, hot kids gift toy. Material: Made from high quality PVC material ;. I believe any problem can be settled with our good communication. A great gift for any Imaginext fan. Includes Daphne, Mr. Hyde, and jewel necklace accessory. Trending at $21.75eBay determines this price through a machine learned model of the product's sale prices within the last 90 days. Choose from Shaggy, Scooby, Scared Scooby, Scooby Dum, Fred, Velma, Daphne, Charlie Robot, Horseman and Ghost Clown! Want to go from owning a simply good collection to having a GREAT collection?. GO FROM GOOD TO GREAT AND. 2.5" Scooby Doo Phatom Ghost Classic PVC. It remains mint on card, and was made by Equity Marketing. As shown, the card is not mint and the bubble has started to separate. Scooby Doo were are YOU?. Nostalgic character from the Classic 1969-1975 TV Series. From the Scooby-Doo Classic Hanna Barbera TV Series. 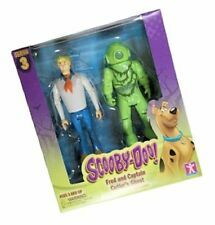 Up for sale is are collectible Scooby Doo, Shaggy action figure by Character Options, Ltd. dated 2005 in excellent condition. Measures 5 in. tall Colors may be different than they appear in the photos. Questions always welcome. We will gladly combine shipping on items won or purchased within 7 days of each other. Be sure to visit our eBay store! Rednosed Molly's Attic. Funko POP! 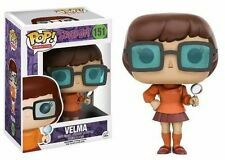 Animation ~ SCOOBY-DOO POP! The only mystery left to solve is why you don't already have this Scooby-Doo Pop! Based on the animated series. This Scooby-Doo Scooby Pop! Be sure to add ComicChix to your favorites list ! THE MYSTERY MANSION. WE DO CARE! SEE ALL PHOTOS. Velma Dinkly. Nostalgic character from the Classic 1969-1975 TV Series. From the Scooby-Doo Classic Hanna Barbera TV Series. See column to the right. Actual color may vary due to lighting conditions. 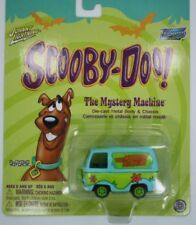 SCOOBY DOO GHOST OF REDBEARD EQUITY MARKETING FREE SHIPPING! 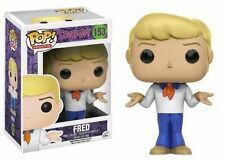 From Scooby Doo, Fred, as a stylized POP vinyl from Funko. Funko POP! 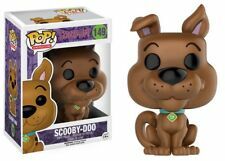 Collect and display all Scooby Doo POP Vinyls. The only mystery left to solve is why you don't already have thisScooby-Doo Pop! Based on the animated franchise, collect the whole gang. 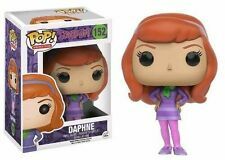 DAPHNE BLAKE. Nostalgic character from the Classic 1969-1975 TV Series. From the Scooby-Doo Classic Hanna Barbera TV Series. 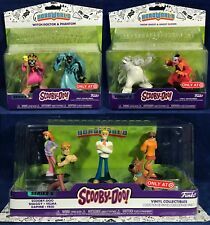 2002 Equity Scooby-Doo Episode In A Box Creepy Tangle Action Figure 3-Pack RARE! 2018 Funko Hero World Scooby-doo Series 5 Target Exclusive Complete Set of 9. Condition is New. Shipped with USPS Priority Mail. This action figure is in new condition. Please see pictures for more descriptive information on product and condition of the figure. Buyer is to pay immediately through Paypal. I will ship item within 1 business days. Please don't hesitate to ask any questions. Thanks for looking! Also please check out my other listings happy shopping! Condition: New in box. Never used/open/played with. We're always happy to help.